This darling bib looks like an owl and fits babies 3-6 months. 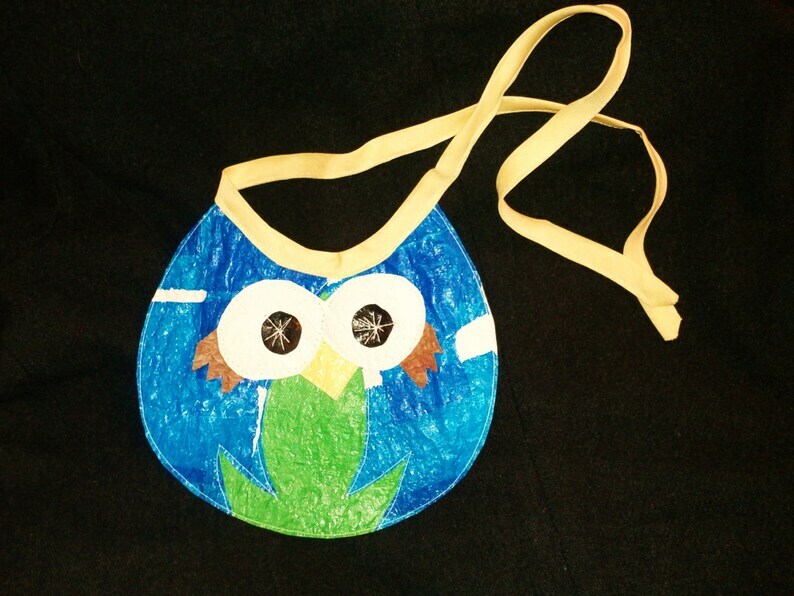 Made of 100% recycled post-consumer plastic bags, this bib protects your baby and the environment! Please specify color.